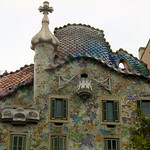 Hear about travel to Barcelona, Spain as the Amateur Traveler talks to Lauren Aloise from devourspain.com about traveling to this capital of the region of Catalan. The history of Barcelona goes back over 2,000 years when it was founded either by Hercules or more likely by the father of Hannibal. Lauren takes us on a tour of some of the older and some of the newer hipper neighborhoods of Spain’s second largest city. We talk about Gracia, Barceloneta, the Gothic quarter, El Poblenou, El Raval and Montjuïc & Poble-sec. We talk about some of Lauren’s favorite museums in Barcelona: Barcelona History Museum, Picasso Museum Barcelona and a Chocolate Museum. 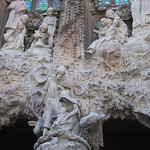 Lauren also points out some of the works of the architect Antoni Gaudí whose masterpiece, the cathedral, La Sagrada Familia, is still being built more than 100 years after his death. And since Lauren started a food tour company, we of course talk about some of her favorite dishes, tapas bars and bodegas where you can sit, sip vermouth and eat seafood. Lauren says, “if you must leave there are so many fantastic day trips to take”. We talk about a day trip to Cadaqués to see the house of Salvador Dalí as well as exploring the Costa Brava starting in the beautiful city of Gerona. Sponsored by Select Italy, experts in travel to Italy. It was truly a pleasure to meet you, Joan, Gary and Jen at TBEX in Vancouver. I appreciate and admire your easy, gentle interview style, your sincerity and continued attention to providing the best quality travel podcast available. I know it takes a significant amount of time to arrange, conduct, edit and finalize each podcast, update the web site and keep this going. Thank you, so very much. For those of us who are generally unable to make it around the globe to visit the various places discussed and shared on the podcast, we appreciate the opportunity to virtually travel through this medium. Best wishes on the future of Amateur Traveler and your other endeavours; may they continue to support this venture. Blessings. I really enjoyed the Maldives episode. I think that you both did great, managing to talk so much about a place where there is nothing to do. Great podcast on Barcelona, Chris. Going there in March and will listen a second time for Lauren’s tips. 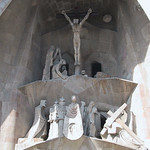 Haven’t been to Barcelona since 1972 and eager to see changes in Sagrada Familia when it didn’t even have a roof. Loved the city then and eager to see it again, even more since hearing this. I am taking my 17-year-old niece and will forward this to her. Maybe she too will get hooked on your Amateur Traveler. Wish I’d come across this sooner before I recently visited! Great blog, and fantastic post. I have just discovered your blog and I find it awesome. Now I am waiting forward to listen to podcasts on other cities. Thnaks for sharing your experiencies. Very good information, thanks!